One of the biggest challenges associated with a corporate wellness program is understanding what employee wellness is. For many, the term ‘employee wellness program’ equates to weight loss challenges, smoking cessation classes, and on-site gyms. But do these initiatives alone truly impact employee well-being? Download this report from the O.C. 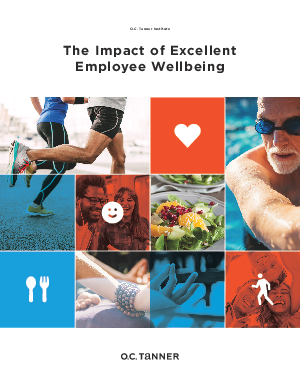 Tanner Institute to discover what really drives employee wellbeing.